Barcelona star Neymar, his father, Sandro Rosell and Josep Maria Bartomeu have all been charged with tax evasion and forgery of documents by authorities in Brazil. The full document of charges issued by the Brazilian Prosecutor’s Office in Santos accuses all four of tax evasion and fraudulent misrepresentation, citing the Barcelona forward’s father, Neymar Senior, as “the mastermind behind several acts of contractual fraud in managing Neymar’s image rights”. Father and son are accused of using an intermediate company, Neymar Sport e Marketing, which received money for Neymar’s image rights from both Santos and Barcelona, even though the player himself was the only one performing a service. In that way, Neymar would avoid paying income taxes as an individual – which would be higher than that for the company. The prosecution claims that the Brazilian state was, in this way, cheated out of 55 per cent of the money which should have been paid. 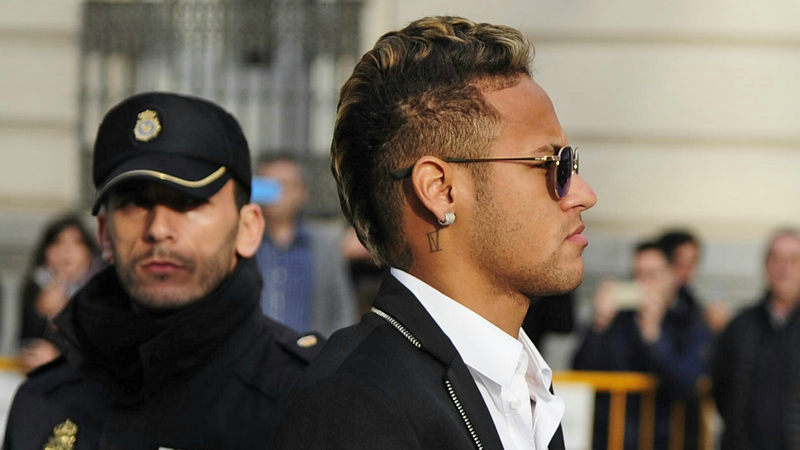 This case is a separate one to that which is being investigated in Spain regarding Neymar’s 2013 transfer to Barcelona – in which the forward gave testimony on Tuesday – but that deal is also under scrutiny from the latest charges. Rosell and Bartomeu, the former and current presidents of the Catalan club respectively, are accused of forging “from November 2011 onwards a series of documents to simulate a qualified agreement between the player and Barcelona”. Those documents, it is alleged, saw the player and his father paid €40 million in instalments which was used to facilitate the evasion of tax.